Thank you to everyone who made our August 16 Ag Innovation Day a success! We welcomed more than 100 guests to the annual Ag Innovation Field Day event. New this year, the Ag Innovation Day was open to farmers, agribusinesses and the general public from across the state. In year’s past, the event was designated for farmers in the Yahara Watershed, but organizer’s wanted to expand the reach of the programs and practices that are applicable to a wide audience. 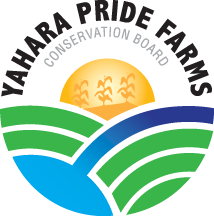 Carl F Statz and Sons Inc.
Yahara Pride Farms (YPF), is a 501(c)(3), farmer-led, not-for-profit organization working to improve soil and water quality. We strive to help advance new ideas and technology that balance water quality improvement with farm sustainability and profitability.